IFA Ocean Village is the hotel closest to the beach. 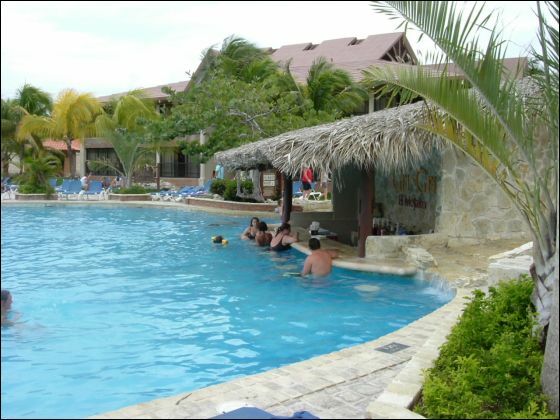 Around its swimming pool, including children’s area and equipped with sun loungers, are located the international cuisine buffet restaurant La Casona, a gift shop and the Spa centre. On the beach we offer a sun lounger service, diving and aquatic club, as well as an extensive range of activities organised by our entertainment team. Directly on the beach so that our clients can enjoy it, the Rancho Grill offers a buffet service at lunch time only; the rest of the day being our Beach Bar. At night it turns into La Jungla Beach Disco with free entrance, local drinks and snacks included, being the best place to put an end to a thrilling day. 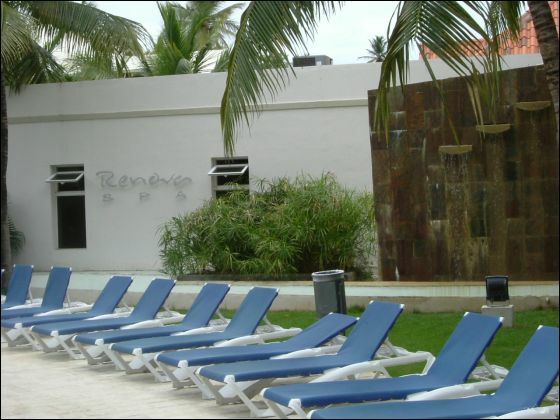 The IFA Bavaro Ocean has 236 Superior rooms distributed in three-storey buildings with a tropical architecture. 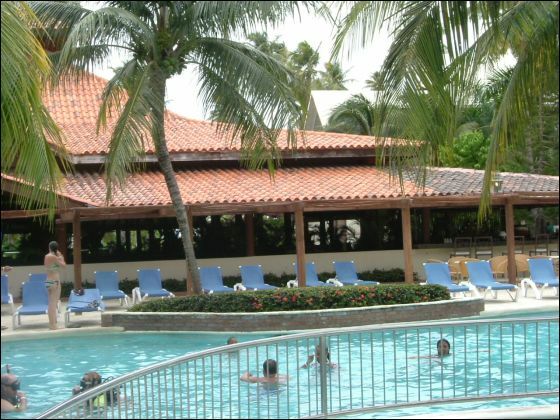 IFA Bávaro Village is located in the center of the resort, with a lake style swimming pool with sun loungers and parasols, where an extensive programme of activities takes place every day. Around the main square of the complex there are 2 gift shops, 1 mini market, as well as the main buffet restaurant Colibrí offering international cuisine, the Pikalo Pizzeria Snack and the Gri-Gri Bar with its bar inside the swimming pool. 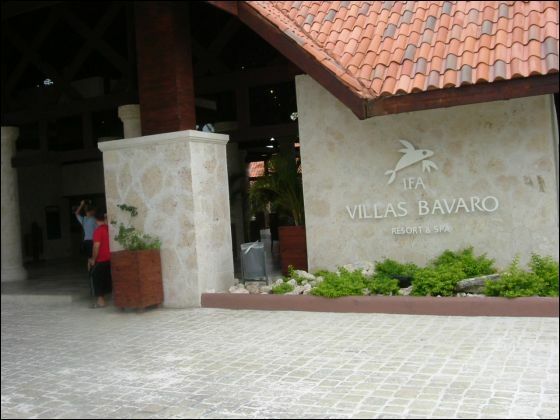 IFA Bávaro Village has 154 Superior rooms in two-storey buildings. 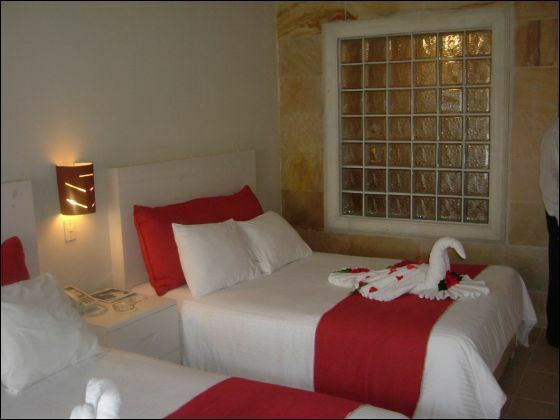 127 rooms are equipped with a double bed and 27 with a king size bed. The rooms are located in a setting of large tropical gardens. IFA Villas Bávaro Resort & Spa includes all the à la carte restaurants in its All Inclusive system, although some dishes may have an additional charge. The diversity of our offer tries to cover those cuisines mostly requested by our international clients. This is why the resort boasts a total of 7 restaurants, 2 buffet style, 1 Grill Barbecue at the beach, 1 Pizzeria snack and 3 a la carte restaurants, plus 8 bars, two of which offer a snack service. In addition, there is also a snack service in the disco (23.30 h – 03.00 h). A la carte restaurants Jalisco, Caribe (lobster not included) and Bambú (all of them only for dinner; advance booking is necessary). ¨La Jungla¨ Beach Disco from 23.00 – 3.00: national drinks, snacks and entrance included. The above services are common for all, independently of whether your room is located in IFA Bávaro Village or IFA Bávaro Ocean. Cyber café (at extra cost). Free use of towels and loungers in the beach and swimming pool area. Water skiing (at extra cost). Jet skiing (at extra cost). Diving lessons (at extra cost, in the PADI diving club). Banana boat (at extra cost). Horse riding (at extra cost). Boat hire (at extra cost). Glass bottomed boat (at extra cost). Comprehensive gymnasium with the latest equipment (free entry for our guests). Therapy (stress therapy, reflexology, aromatherapy, etc...) and massages (deep muscle, Swedish, etc...). Beauty Parlour (manicure, pedicure and depilation among other services) and massage area in the open air. A wide range of services dedicated to health care and body harmony is available to those guests who wish to relax with the help of our beauty, rejuvenating and anti-stress programmes. Let yourself be pampered by our team of professionals and specialists. It was the best "Value" we have ever gotten!!!!! My advice is to go there now while it is still an undervalued "budget" resort property. 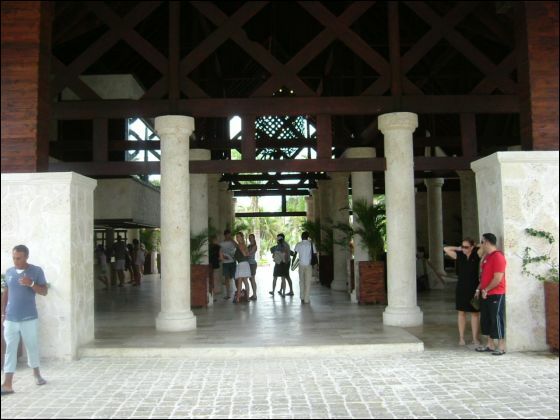 An open air thatched roof terminal awaited us in Punta Cana along with two lovely girls to have our picture taken with and, (don't forget the $10US fee). Luggage and customs were "no problema" either and the Apple rep directed us to our bus. There were 24 people from our plane going to the IFA Villas Bavaro so we all went on one bus and our bus went directly to the resort with no other stops along the way. The Apple rep onboard gave us the "speech" along the way. About 25 mins later we arrived at the IFA. We got our luggage from the bus and then went to the front desk to check-in. Drawback: There was only one person at the front desk when we arrived and he did not call for any additional help. Check-in took a little extra time because of that but certainly not the end of the world. We arrived ahead of schedule (11:30am) and most of the rooms were not yet ready to be occupied. The same thing has happened to us before so we were prepared with swim suits, shorts and flip flops in our carry ons. We put our luggage in a secured room and headed to the banos to change. By noon we were headed for the pool, bar and buffett. We got to our room (3608) about 2:00pm. It was a very nice room, quite large with a King sized bed, color TV w/remote, mini-fridge, nice sized balcony with two chairs and a table. 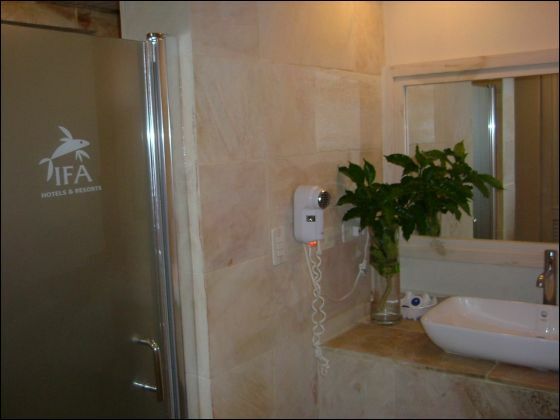 It was very clean and they had put some fresh local flowers in the room and also in the bathroom. 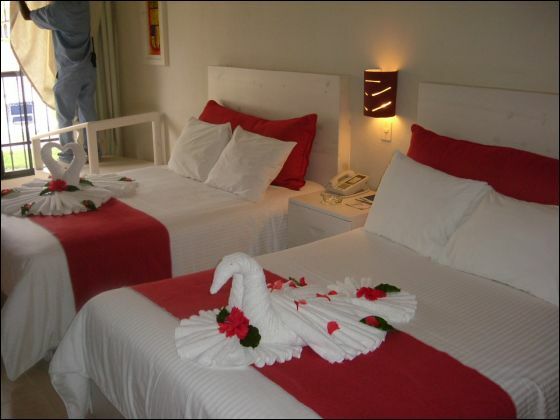 The had two towels twisted up in the shape of swans on the middle of the bed which was a nice added touch. There was soap/shampoo/conditioner dispenser in the shower that was always full and kind of neat to have. We had very good water pressure whenever we needed it. All in all we were very impressed. Drawback: they do not provide washcloths but we were aware of that and brought our own, but even if we had not brought them it would not have been that dramatic. I went back to the front desk to get a lock and key for the mini-safe while Kim went to guest services and made reservations for the al-a-carte retaurants. Once we did those two things we went about enjoying our vacation. Mon morning we awoke to two Domin boys trimming the palms outside of our room so we went out on the balcony and were watching them. As they trimmed the palms some coconuts were also falling so we asked them to cut off the tops of two of them for us and they did and we had fresh coconut juice that morning. It was WONDERFUL!!! We had checked out the beach and the pools on Sun afternoon so we decided to hit the beach on Mon. The beach is GREAT.......white sugar sand, very level, very big, great for nice long walks in both directions. Drawback: there are no "tiki" huts or places for shade on the beach unless you get back from the water and under a tall palm tree which really does not provide that much shade. It did not matter too much to us though as we wanted to be in the sun and water as much as possible. We had a great day at the beach and they have a beachside bar and also a snack buffett with plenty of good food. On Tue we stayed by the pool where they have the "tiki" huts. We had gotten plenty of sun on the beach on Mon and we needed the shade for a day. 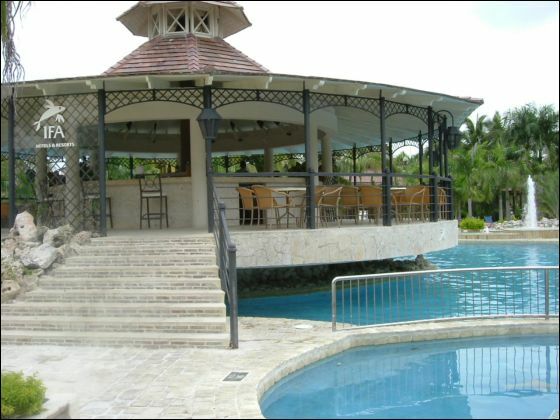 The pool was quite large with an island in the middle and a swim-up bar. Drawback: service at the swim-up bar is not very fast.....not the end of the world by any means. Mid-morning they brought snack food out by the pool bar for anyone who wanted it. At mid-afternoon the also brought out fresh fruit and snack sandwiches to the pool bar for everyone. The main buffett by the pool had a fresh pasta bar at lunchtime where the cook would custom make pasta for you from four kinds of pasta and three different sauces and many other additives eg. mushrooms, onions, tomatoes, green peppers etc. Every morning they had a chef ready to make fresh eggs and omlettes for everyone plus tons of fresh fruits, yogurts, breads, potatoes, meats, juices, etc, etc, etc. I could go on and on....they even had hot oatmeal which we both like. The service was great. We always had plenty of coffee and water and they were meticulous about picking up our plates as we finished them and even a little before we were finished sometimes.....lol. Lunches were great, besides the pasta bar they always had plenty of great choices of salads, veggies, rice, potatoes, meats, soups, breads, etc. etc. etc. There was also another buffet that you could go to for lunch or the beachside snack buffett. There was always enough variety that you get plenty to eat without feeling repetitive. For the price that we paid we both feel that we got WAY MORE VALUE than the cost. We could not belive that we would have gotten a much better vacation even if we had paid lots more money for it. We read the TripAdvisor reviews and were a little leary and you also said that you had some concerns but as it turned out we were thrilled with the whole experience from start to finish. We want to thank you both for all of your help and for going to bat for us with Apple. We have both told many people (friends & co-workers) about your services and hope that at least some of them will follow up and use you in the future. We like variety and would like to go someplace different this next trip. Keep us in mind and we will do the same. Thanks again for everything. PS.....if you have questions or comments after my long-winded dissertation please feel free ask. I have left a positive comment with the TripAdvisor also and I plan on e-mailing the IFA Villas Bavaro directly to let them know of our very positive experience. I wish I could say it is great to be home, but ....well...vacation is just better! I love to share, so here are my thoughts for you! right in a row, so no long bus travel for anyone. The microphone on the bus was broken, but our guide made the best of it and went seat to seat answering any questions. Nice short ride!! -Check in at the resort was easy, I was the only one there, and they went quickly as I told them I really wanted to try to make dinner, and I did. -They have made some nice upgrades to the resort! The spa was done, beautiful, more on that later, and they added a new pizza place with pizza, ice cream and a bar by the main pool. This was a super place to grab a late afternoon bite. The pizza was really good too!! -My room was in the last building by the ocean as requested, no king bed though, but that was OK. Some of the online reviews had said these rooms could be noisy from the disco and this was true, but if your air conditioner was running you couldn't hear it. The room was clean, but simple, as expected. The tub was peeling and had some rust, but as I told you, things like that don't really get to me. It was a cheap place, you get what you pay for. If this had been the case at the Paradisus, I would be annoyed, but I knew this was no 5 apple place. BUT, there is nothing wrong with it at all. -Service in the buffet and sit downs was super. The bars could be a little slow, but if you made an effort to get to know the bartender, their speed improved tremendously. -The entertainment staff was super! Typical resort cheesiness, but fun. They worked hard to get everyone involved. There was always someplace you could go to get away from them if you wanted to also. -The beach was spectacular! Nice and long so you could walk and walk. the others I walked by, and our people got up earlier. -The spa was great, much nicer than the rest of the resort, so kinda funny, the sharp contrast. Cheap for what I am used to here in my area, and she was very good. One of thecouples I met had an open air couples massage and they couldn't stop raving about how wonderful it was. They had a great variety of offerings. The gym looked nice too, and was always busy....I walked the beach for an hour or so each morning...a much nicer workout I think. -The transfer home was right on time, and got us to the front of the line, after I went through...about 15 minutes...the line was across the airport, then they started boarding early and we took off almost half an hour early, a nice treat.....they have also opened a couple of new shops in the airport which were not there last year for souveniers and duty free. That was nice. The prices were what they were at the resort. Overall, it was great! The place is a good value for the price you pay for it. I would recommend it to anyone who is not picky like me. Now, be on the look out for a good deal for me for next year! I want to step up a little, and try to get something where I can stay longer and my friend can stay shorter. I had a great time! I believe this was the cleanest resort we have been to.We liked it a lot! The food was fine, the room we had was great an the beach was great. We would definately go back. 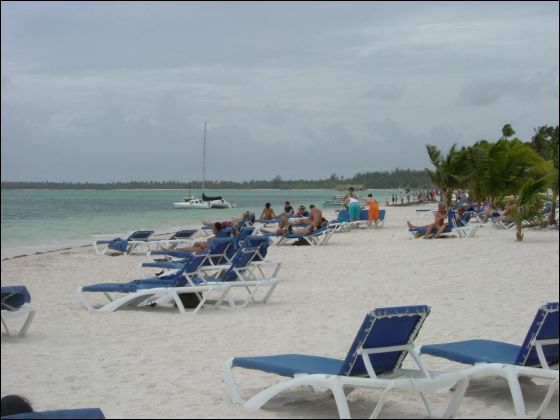 I will tell you this- .It is one hugh beach, alot of walking to the water, but very nice. We will be calling you again for our next getaway! WOW it was every bit as great as you told me. So glad I was finally able to go. Can't thank you enough for all the encouragement in the beginning and help with the final reservation. We're already talking about 2011. Just can't tell you how wonderful it was! They could use some help with special restaurants. Very rigid not very accommodating and not always very friendly. But understandable as resort was quite full. The buffet people very sweet and helpful! All in all trip was fabulous! English speaking was minimal but this was not an inhibiting factor. Overall resort was nice. Common areas were kept exceptionally clean. Hotel was a bit stingy with towels and ameneties but this is probably how they keep their prices low and it was not an overal negative.